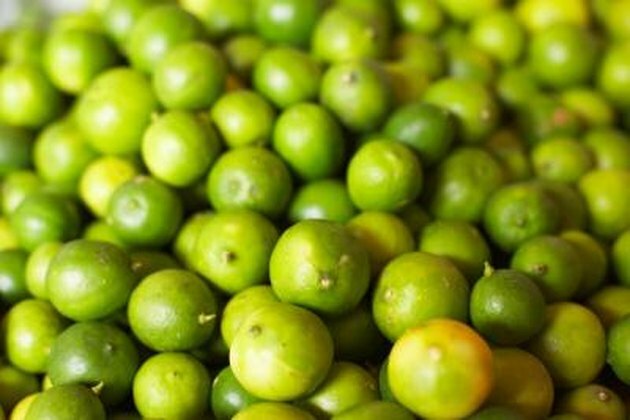 Citrus fruits are full of vitamin C, fiber and important minerals. Oranges have the highest amount, but you can get plenty of the vitamin by eat citrus wedges or drinking juice made with grapefruit, lemons or limes. You also can sneak citrus flavors and beneficial vitamin C into your cooking by squeezing a little lime on your chicken or adding a touch of lemon zest to grilled salmon. Men need more vitamin C than women, around 90 milligrams per day. Women only need around 75 milligrams. Vitamin C is a water-soluble vitamin, which means your body does not store it and excretes any excess levels. 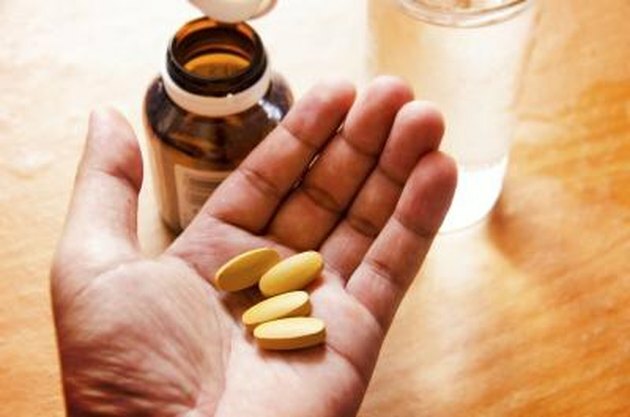 You can safely consume high amounts of vitamin C, but the Office of Dietary Supplements suggests keeping your intake to less than 2,000 milligrams daily. 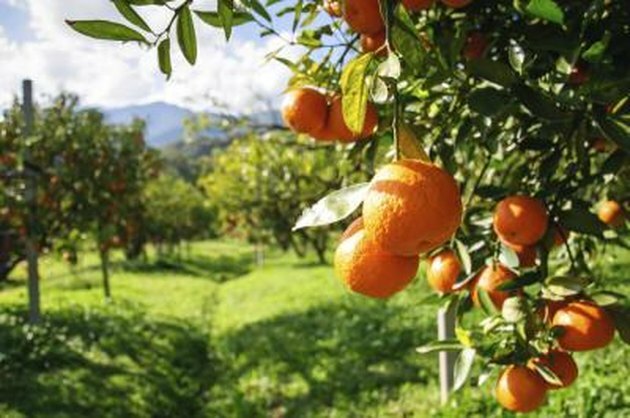 Oranges have the highest amount of vitamin C among citrus fruits. A medium whole orange contains around 70 milligrams of vitamin C. Orange juice is a concentrated source of vitamin C because it removes the rind and most of the pulp, which are not as high in the vitamin. 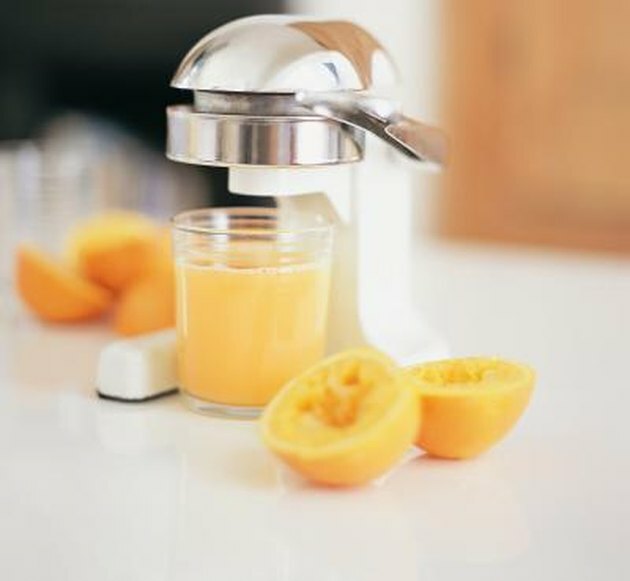 An 8-ounce glass of 100 percent orange juice provides up to 125 milligrams of vitamin C. If you squeeze your own orange juice, save the rind for zest, which you can add to your favorite baked goods, pastas or chicken entrees for an additional source of vitamin C.
Grapefruit is a close second when it comes to vitamin C content. 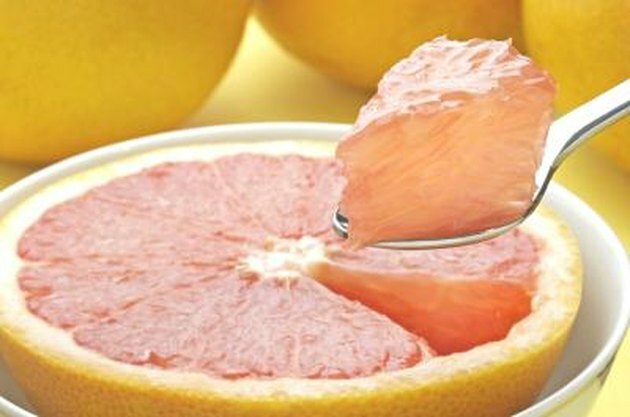 One serving of grapefruit is half of the fruit, which has nearly 40 milligrams of vitamin C. Sprinkle sugar on grapefruit wedges to minimize the extreme tartness, or enjoy sweetened grapefruit juice. An 8-ounce glass of grapefruit juice provides up to 95 milligrams of vitamin C.
Do not underestimate lemons and limes. While you are less likely to munch on a lemon or lime wedge, you can squeeze the juice of these fruits into many recipes or beverages. Squeezing fresh lemon or lime into your diet soda, about a half-ounce of juice, adds around 6 milligrams of vitamin C to your drink. One peeled lemon wedge provides 4 milligrams of vitamin C, while a peeled lime wedge has about 2.5 milligrams.